happy privet, originally uploaded by DragonDrop. Went to take photo’s at an old folks home today which happens to be near Fairburn Ings Nature Reserve. Eirene’s nana (sophies great grandmother!) is over from Ireland at the mo so we went there for a walk around. Really nice place. Loads of wildlife. 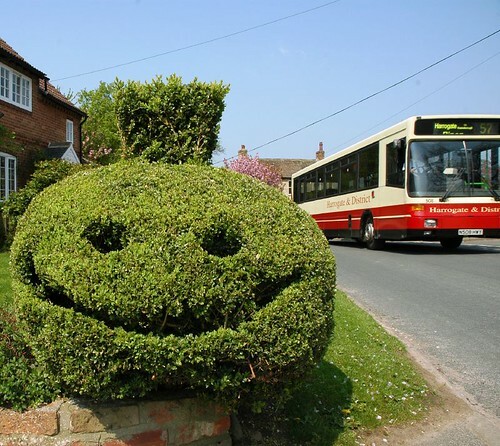 After that we went for lunch at the Tiger Inn at Coneythorpe where this happy privet resides. The Tiger Inn is everything a country pub should be, ye old, nestled against a picture postcard perfect village green, great food, great ale, ver ver nice.